Every factory wants to identify and classify latent issues in the manufacturing process before they can cause actual problems in the production flow. Generally, big companies already possess this capability, or at least have plans to acquire it. For SMEs, however, it often poses an insurmountable challenge. But why? Simply put, they have few options. 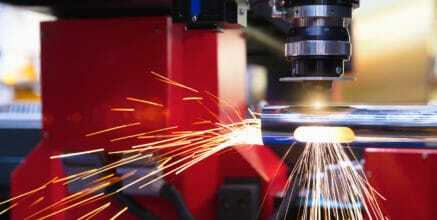 To date, manufacturers have mostly used local software installations to optimize process quality, but many SMEs cannot make this kind of investment. Yet what if there were a suitable cloud solution? In Industry 4.0, the cloud becomes a key component in data integration across different factories. 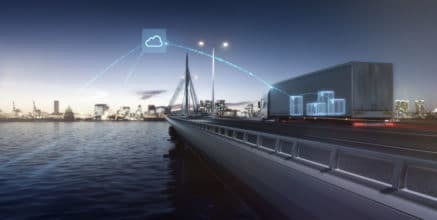 At the moment, manufacturers are still feeling their way cautiously around this brave new world, but it looks as if all roads will lead through the cloud. 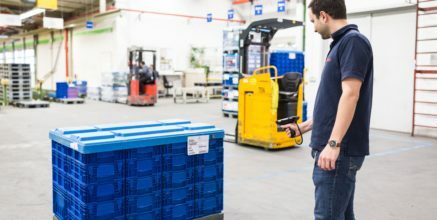 The long-term goal of Industry 4.0 – a fully connected value stream – is possible only with cloud-enabled solutions. How can small and medium-sized manufacturing companies benefit from process data monitoring in the cloud? I’ll illustrate with the example of connecting tightening systems via the Process Quality Manager. 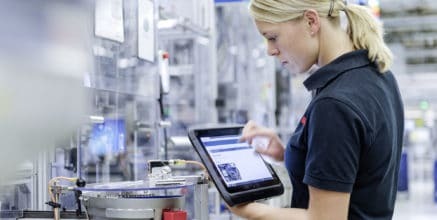 As one of the first Industry 4.0 solutions in the Bosch IoT Cloud, the Process Quality Manager can be used to monitor other process data as well as tightening process data. Tightening experts are using the Process Quality Manager to visualize and monitor the quality of tightening processes such as torque and rotation angle in real time. The tightening data cockpit automatically detects process deviations and trends, and helps the experts to optimize production processes. It is thus instrumental in achieving zero defects, transparency in production, and highest possible production output. Tightening experts are using the Process Quality Manager to visualize and monitor the quality of tightening processes. So far, process data monitoring has tended to be the domain of large manufacturing companies that operate their own IT infrastructure and use more than 150 tightening systems. 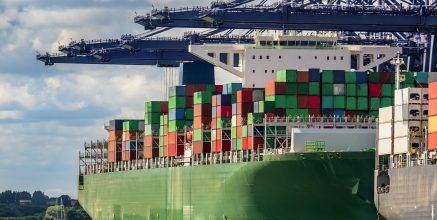 As a cloud solution, it now also offers potential for small and medium-sized manufacturing companies that have outsourced the operation – including support and maintenance – of their IT infrastructure and use only a small number of tightening systems. A major advantage of cloud solutions is that they require virtually no initial investment and no commitment with regard to how long they have to be in operation before paying off. The cloud model offers decisive advantages even for companies that want to integrate manufacturing sites worldwide in stages in order to centrally monitor tightening processes and make decentralized use of expert knowledge. The cloud solution works as follows: the Process Quality Manager is available as a web service in the Bosch IoT Cloud and can be used directly via browser without local installation. As a result, experts can monitor process data from anywhere and at any time, as long as they have an internet connection and a browser. For small numbers of connected devices / control units, an ordinary DSL connection is sufficient. A manufacturer of seats for sports cars employs 150 people. On the assembly line, there are 20 tightening systems with short clock rates in operation, with one tightening operation every two seconds (in other words, 200 kilobytes every 2 seconds, or 100 KB/sec.). Access to the cockpit in the cloud requires nothing more than an ordinary DSL connection. The provider handles installation of patches and upgrades (operation and maintenance), which reduces costs and hassle for the user – every single month. Cloud solutions also open up new billing possibilities. Pay-per-use models are increasingly being used, which convert investment costs into running costs. For the manufacturer of sports car seats, paying for the process monitoring service by the number of tightening operations makes financial sense. 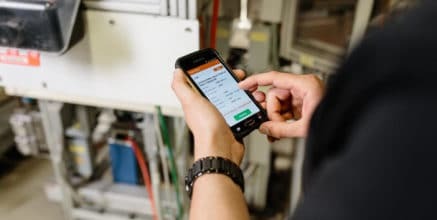 It’s important to note that manufacturers can increase or reduce the number of tightening systems connected to the process monitoring service at any time, depending on what they need. At no point are they tied to a specific number of systems to be monitored. Finally, I’d like to mention data security – an important subject when it comes to cloud services. Without adequate protection, data theft is a genuine threat. Customers must be able to have complete and utter confidence that their data will be treated with due care and vigilance. Bosch will fulfill this requirement in two ways: using the latest protective mechanisms to ensure strict data protection and hosting the Bosch IoT Cloud in its own data centers. 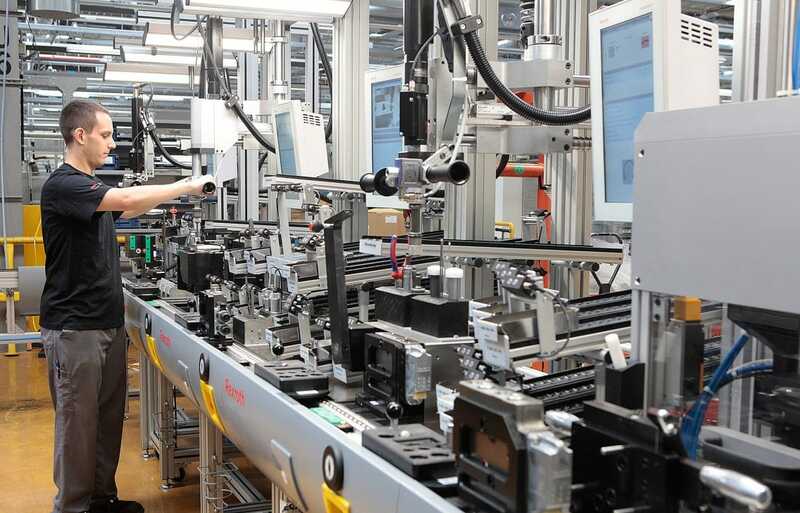 Thanks to the option of using Industry 4.0 solutions in the cloud, small and medium-sized manufacturers can now confidently take their first steps into the world of Industry 4.0. You too can monitor and document your process data in real time, reducing the amount of rework and the related costs. 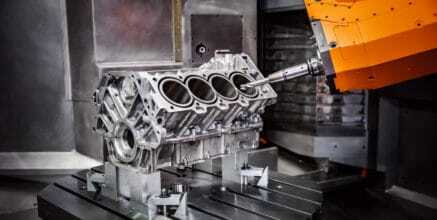 Making a factory smart: 7 criteria for manufacturing software.